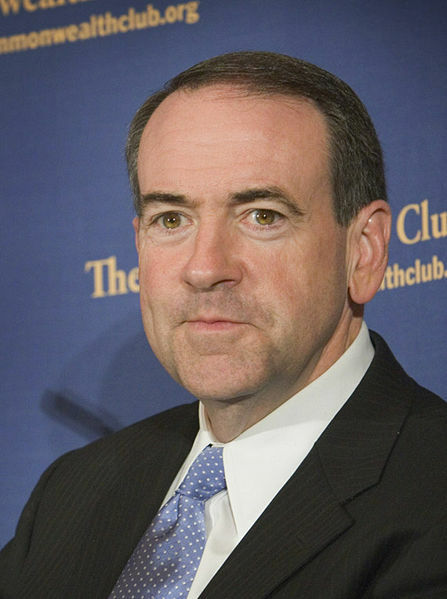 Michael Dale "Mike" Huckabee (born August 24, 1955), is a former Republican governor of Arkansas from 1996 to 2007 and a political commentator for Fox News Channel. Huckabee finished second in the 2008 United States Republican presidential primaries; he announced his candidacy on January 28, 2007. Following losses to John McCain in the Texas, Ohio, Vermont, and Rhode Island primaries, McCain became the presumptive Republican nominee and Huckabee exited the race on March 4, 2008. Out of the users that have visited this site 1244 out of 65123 say they would write in Mike Huckabee if they knew the write in would help get him elected for president. (Not every candidate is registered/eligible for write in votes in every state).